You must be a member of the Nairobi Hiking Kenya Group to attend this activity. Would you like to join this group? 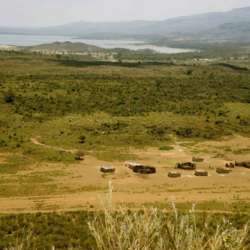 Lake Elementaita is a treasure paradise at the heart of the Great Rift Valley. It’s a salt water lake surrounded by beautiful acacia trees and great wonderful breath taking sceneries. It is a great place for bird watching, more than Protected content of bird species including flamingos, pelican’s kingfishers, marabou storks and crested grebes can be seen here. The hills surrounding the lake offer great trails for hiking. We will explore “horse shoe” crater . It takes about Protected content depending on your pace. This is a demanding hike, if you have not been working out, do some walks before then. There will be an option of doing a short hike to the hotsprings and back to the hotel. Both trails will take us through Lord Cole monument, where Lord Cole was buried in Protected content 49 years. The monument site offers a fantastic view of the lake. This is a beautiful and refreshing hike, great way to spend a Sunday out of the city. What to bring: Lunch, ID, sunscreen, hat, sun glasses, camera.